Selling is hard work, not doubt about it. I’m always asking myself, how can we make it easier, better, more efficient. I believe one way is by using technology for the tools they are. Technology itself does not make sales easier, but it can make it more efficient. Today I am writing this article on my Nexus 7 tablet to see if a salesman could enter information into a tablet quickly and easily. Some will say I’m cheating because I have my Verbatim blue tooth keyboard connected, but again, I say, use the tools. 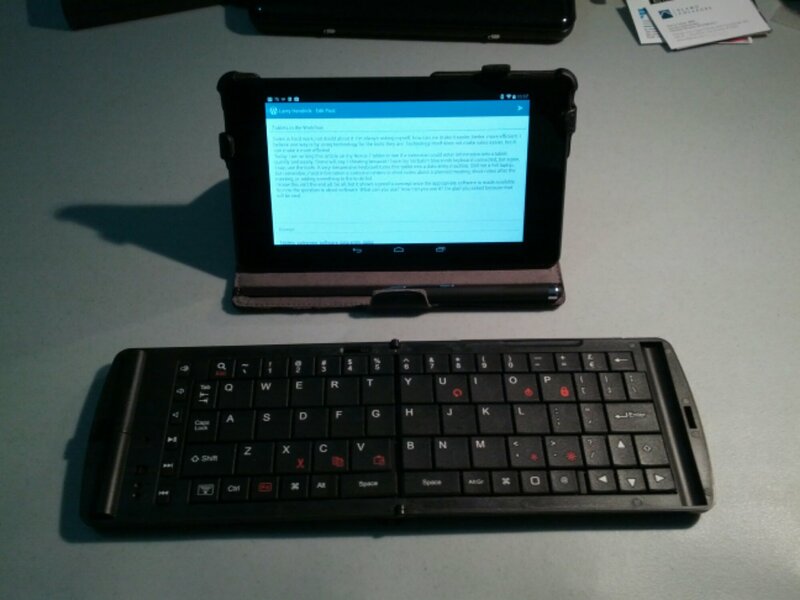 A very inexpensive keyboard turns this tablet into a data entry machine. Still not a full laptop, but remember, most information a salesman enters is short notes about a planned meeting, short notes after the meeting, or adding something to the to-do list. I know this isn’t the end all, be all, but it shows a proof a concept once the appropriate software is made available. So now the question is about software. What can you use? How can you use it? I’m glad you asked because that will be next. Are Tablets Ready for Business?